Mr. Stephen Wong joined the Attorney General’s Chambers of the Hong Kong Government as a Crown Counsel in 1986. In 1991, he was seconded to the UN Human Rights Committee based in Geneva. In 1992, he became the Assistant Director of Public Prosecutions. 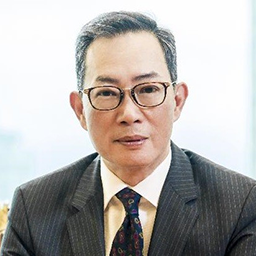 From 1996 to 2014, Mr. Wong assumed the offices of Deputy Solicitor-General and Secretary of the Hong Kong Law Reform Commission, responsible for human rights, cross-boundary legal affairs, Basic Law, law reform and legal policies. His fields of expertise also include commercial law, arbitration law, intellectual property and criminal law. Mr. Wong is also active in the community work, having been appointed as an adjunct professor of the School of Law, City University of Hong Kong; advocacy examiner of the Faculty of Law, University of Hong Kong; and a director of the China Law Society. Mr. Wong graduated from the University of Hong Kong, also holding an LLM from the London School of Economics. Before being appointed as the Privacy Commissioner for Personal Data of Hong Kong in August 2015, he had been in private practice as a barrister-at-law, specializing in public law.